It's perhaps the very bravest pill of them all, but could this week's choice be just a little too hard to swallow? Quantifying courage has always been a difficult task. Only limited parallels can be drawn between elderly bork-prone motors and the hierarchy of military decorations, but if the L322 Range Rover was a medal it would definitely be one of the ones that gets pinned on by a member of the royal family and gets other service personnel jealous. Yet despite its reputation as a cash pit, the previous-gen Range Rover never seems to have any shortage of willing victims, largely as the market keeps offering them up at such enticing prices. A good friend bought a diesel-fired TDV8 of similar vintage to this week's pill for a similarly modest outlay and ran it for a year. It was 12 months of warning lights, failure messages and frequent exposure to the sucked teeth sound that mechanics make before dropping really bad news, but he loved almost every moment of it. The trance only wore off when, in an uncharacteristically rational moment, he worked out that what he was spending on maintenance and repairs was pretty much the lease for a brand new V90, so got one of those instead. 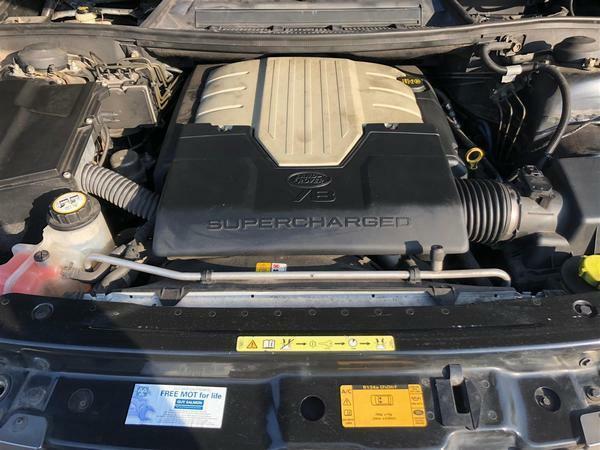 For all the tales of wallet-shredding mechanical catastrophe, there remains a faithful group of owners who insist that a well-maintained L322 need to be no more expensive than any other middle-aged luxury car. Digging deeper often reveals some fairly substantial caveats to such statements - "I've never had any problems, apart from ..." - but there's no doubting the depth of loyalty that a Range Rover can engender; similar to that of an elderly pet that has started to run up increasingly substantial vet's bills. Because, when in fettle, the L322 remains a spectacularly nice place to spend time. Never more so than in the guise of this week's pill; fitted with the supercharged V8 that, while relatively rare and with a thirst for unleaded that blurs the line between comedy and tragedy, is definitely the engine that suits the car best. It took a while to arrive. BMW spent a humungous amount of money developing the L322 - £1.6bn in 1990s cash - but had already sold Land Rover to Ford by the time the car was launched in 2002. That was a large part of the reason for the very limited choice of engines at kick-off: BMW's 4.4-litre petrol V8 for those with fuel cards or private means and also the brand's 3.0-litre straight-six diesel. The oiler was a fine engine in smaller cars - responsible for Jenson Button's then record-breaking 143mph speeding ticket in a 330d - but was pretty much overwhelmed by the Rangie's two tonne bulk with a grindingly slow 13.6-sec 0-62mph time. Replacing these BMW-sourced engines was a priority, with Ford paying to develop the much more bristly 3.6-litre 'Lion' diesel V8. But Uncle Henry also fitted Jaguar's existing AJ-V8 for those parts of the world that didn't want compression ignition. The base 4.4-litre naturally aspirated unit produced 302hp, while the supercharged 4.2-litre - as seen in the XJR and S-Type R - made an altogether more interesting 395hp. This was definitely the Range-topper, the most powerful Rangie to that point, and had a startling turn of pace for something so large and stately. The official 7.1-second 0-62mph time was pretty much half that of the early TD6, and the reality felt even quicker than that number suggested, thanks to the Rangie's combination of an altitudinous driving position and softish air suspension. While the Range Rover Sport was meant to chase the Cayenne, the 'proper' car was never given the over-hard settings that tend to blight performance SUVs. Fully unleashed, the Supercharged will raise its nose like a racing speedboat and, on a long enough straight, keep bellowing until a 130mph speed limiter calls time. More impressive still is its capacity for wafting. There's a big, soft velvet glove around the engine's mighty iron fist and the V8 feels properly effortless when asked to deal with the real world, accompanying progress with a hushed but distinctive big-cube burble as it does so, a much more listenable sound than the one made by the TDV8. Way before the Bentayga was even a glint in a product planner's eye, the Supercharged was the Bentley of SUVs. Regardless of budget, you'd have to look long and hard to find a car better able to shrink and de-stress long journeys. Not that any supercharged Rangie is going to be anything other than a high risk investment. Values of L322s must be close to bottoming out - they now overlap with those of its much cruder P38A predecessor - and there are cheaper ones than this out there for those who prefer their meat both red and still attached to a living, vicious animal. 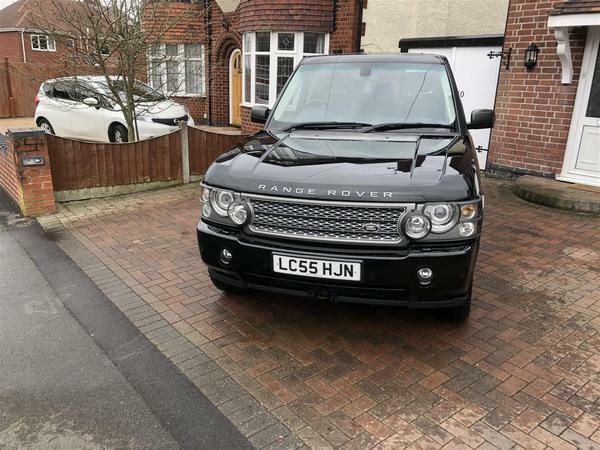 But for £7,100 and "open to reasonable offers" this one looks fairly priced given evidence of both respectful ownership from a former JLR employee and copious recent spend; for reference it's also £103,000 less than a brand new supercharged Range Rover Autobiography. The vendor reports over £2k of care-and-maintenance expenditure in the last 18 months which - on anecdotal evidence - counts as getting off lightly. On the plus side the supercharged 'eight is reckoned to be tougher than the diesel and, beyond cosmetic bubbling, rust is rarely an issue. 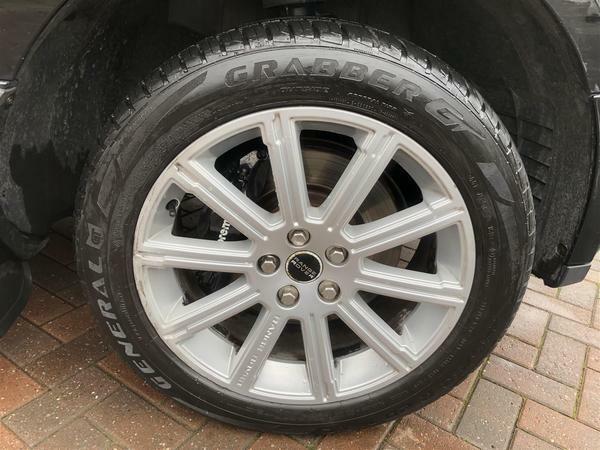 Electrical problems are common and can be hard to trace, while many owners suspect that the L322'ss air suspension system is actually lubricated with £50 notes - the seller of this one has paid for two new struts. 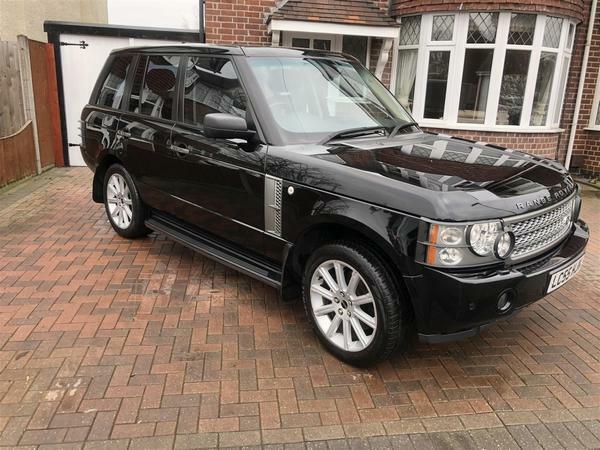 The MOT history throws up one anomaly: the DVLA seems to think that this is a Range Rover Sport rather than a regular Range Rover. Given there's no difference in the tax rates between the two cars that looks like a bureaucratic mix-up rather than any grand conspiracy - it would be interesting to see what the V5 says. On a longer horizon, cars like these are likely to die out, either taxed into oblivion or banned for environmental hatecrime. If you've got a dream to experience something as gloriously un-PC as this, then, don't leave it too long. See the original ad here. A properly brave pill this week. Buy two, and retain your own private mechanic, if you want to have any chance of keeping it serviceable for more than a few weeks at a time! Yep, without doubt the biggest, bravest pill yet. Whoever does buy it - if their on PH, they should start a 'readers thread' on it, just to keep us posted on how he/she gets on! Owned one from 4 years and 55k miles to 10 years and 110k miles. Effortless V8 supercharged engine with supercharger whine - 400hp!! No issues with engine in the time that I owned it. Air suspension combined with the weight of the car leads to a comfortable ride. 12 mpg average over the time that I owned it. Not a misprint. Fuel gage kept breaking- ran out of fuel twice. You don’t drive past many petrol stations. Filling a 100 litre fuel tank hurts. Air suspension air bags broke twice. Not too expensive to repair. Rust around bottom of top leaf of tailgate. Would I own one again? In a heartbeat. The best car I’ve owned. However, it is not a cheap car to run- ensure you can cover the petrol costs and have some in reserve for maintenance. Secondly, they are getting a bit old now. Hence issues such as rust and general wear and tear becoming more common. Caveat emptor! Mazda MX-5 1.5: PH Trade-Off!